What constitutes comfort (homestyle) food? It’s different for everyone. It can be your go-to food when you need emotional support or to warm up on a cold winter’s night. It’s ethnic, it’s regional, it’s cultural; it’s what your mom fed you when you were sick. It can be as simple as a peanut butter sandwich or mac and cheese, soup or stew. In Santa Fe comfort food takes many forms. There aren’t many eateries offering things like Southern fried chicken with collard greens, so ubiquitous in the south or pot roast and gravy found so often in the Northeast or the tuna noodle casserole often found on mid-western tables. For hundreds of years, comfort food in Northern New Mexico has meant dishes like carne adovada (slow cooked pork in red chile), posole (dried corn stew) or green chile chicken stew. The 20th century brought favorites from around the USA and even around the world, to the area. Today you can get a bowl of Vietnamese pho, African food some barbecue, or American classics like meatloaf and gravy or chicken fried steak. 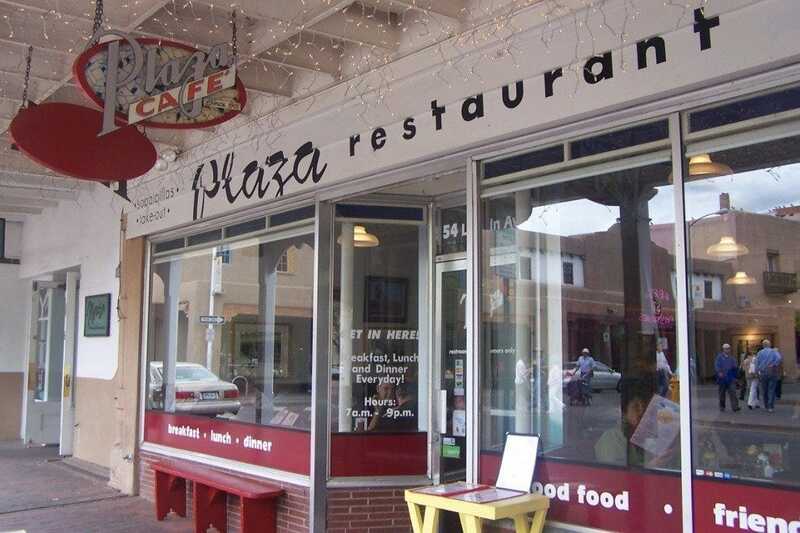 Local eateries such as the Zia Diner, The Plaza Café and The Pantry offer a combination of New Mexican and traditional mainstream American fare such as fried chicken, roast turkey dinner or grilled pork chops and mashed potatoes. And don’t forget a little pie a la mode for dessert. 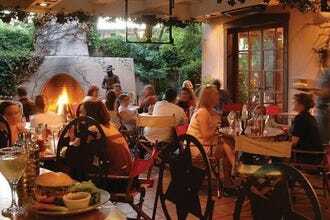 When you need a pick-up, head for one of Santa Fe’s 10 best comfort food eateries. Zia Diner is one of the best place to get traditional American comfort food in Santa Fe. Opened on New Year's Eve 1986, the original owners believed the city offered a market for 'retro comfort food done well.' They were right; the eatery is still going strong almost three decades later. 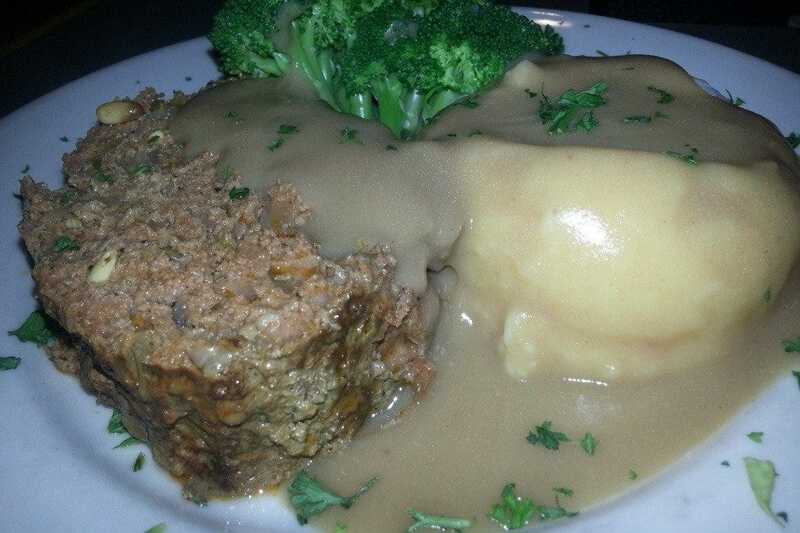 Their Zia Famous Meatloaf adds the local green chile for an interesting twist. Corn, Green Chile and Asiago Pie combines corn, a food grown in New Mexico before the Spanish arrived, with a local staple green: chile. Comfort favorites on the menu include roast turkey with cornbread stuffing, mashed potatoes, gravy and cranberry sauce as well a really retro dish, liver and onions. New Mexican comfort foods on offer include Blue Corn Chicken Enchiladas and Carne Adovada Plate. For dessert try the homemade Strawberry-Rhubarb Pie. The full bar offers a good selection of beers on tap. The parking lot at Harry's Roadhouse, a ten minute ride from the Santa Fe Plaza, is almost always packed. Locals love the funky eatery where each dining room has its own distinct character. The menu offers comfort food all day from breakfast through dinner. There are a few classic comfort food staples like meatloaf, ribs and turkey enchiladas, but look to the weekly specials for a wider variety. Specials, which run for a week starting on Tuesdays, are sometimes holiday inspired. Brisket on Jewish holidays, corned beef for St. Pat's, Cajun during Mardi Gras or perhaps fried chicken on the 4th of July. Winter brings stews and pot pies and in summer, lighter fare dominates. 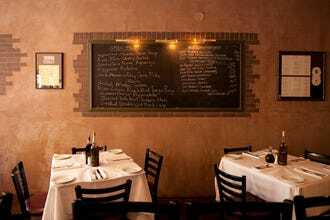 Harry's prides itself on its neighborly feel and its bang for the buck. If the specials don't please, there are always burgers and pizza. Leave room for the home-baked pies or house-made ice cream sandwiches. Like handcrafted brew with your comfort food? Head to the Southside's Blue Corn Café & Brewery. 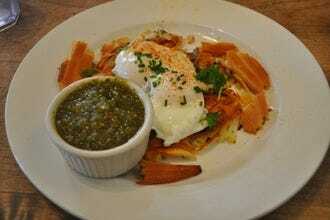 The packed menu offers traditional pub food and New Mexican or American comfort food favorites. A few dishes will always be on the seasonally-changing menu including slow-braised Carne Adovada (made here with pork shank), green chile stew and mac and cheese done here with a zingy Santa Fe twist: bacon and chile. The result is decadently rich and creamy; packing a bit of heat. Burgers are always on offer including the local favorite: green chile cheeseburger. 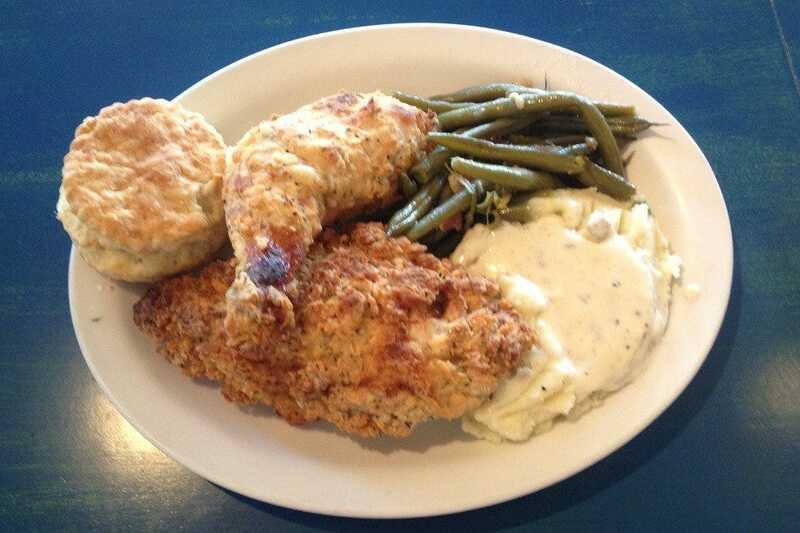 Depending on the season you may find chicken fried chicken, New Mexico shepherd's pie (made with locally-raised beef), fish and chips or Navajo tacos. 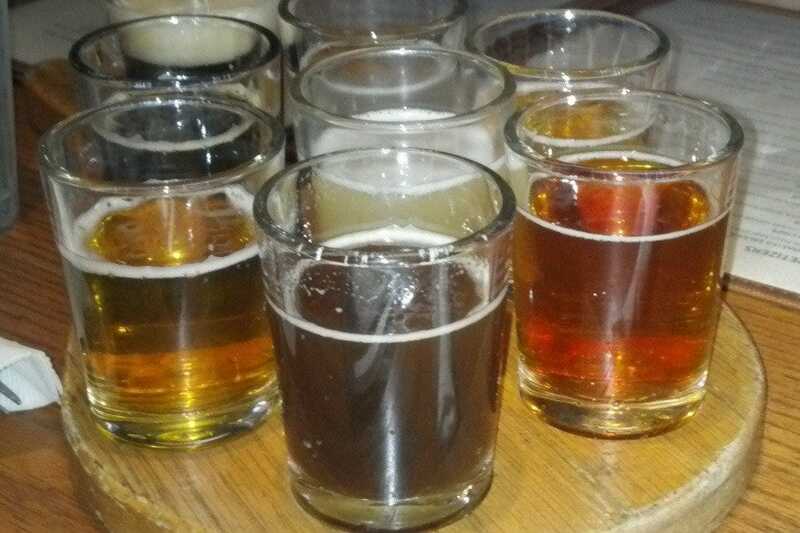 Beer and ale are brewed on site. There are always seasonal brews offered in addition to the staples. End you meal with flan or a Stout Float, a take on an American tradition. Comfort food in Santa Fe is synonymous with the local Northern New Mexican fare that's been comforting locals for hundreds of years. 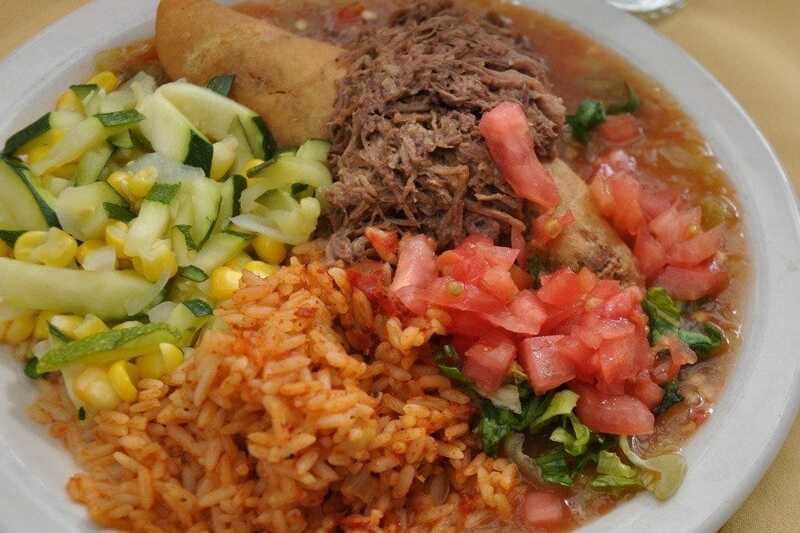 The area's filled with eateries offering the local Norteño cuisine. It's spicy and loaded with locally-grown chiles. One of the oldest and must loved is Rancho de Chimayó Restaurante in the small mountain village of Chimayó. For almost 50 years, the Jaramillos have been serving dishes made from recipes passed down through their family (and other local ones) for generations. One of the highlights of the menu is carne adovada (pork marinated and cooked in locally grown red chile). Other made from scratch comfort food favorites are stacked blue corn enchiladas, Sopaipilla Relleno (puffed fried dough filled with meat or beans), posole (dried corn kernels made into a stew) and Pollo al Estilo Chimayó. Finish your meal with traditional Natillas (vanilla custard). Plaza Café Southside is owned by a branch of the Razatos Family, owners of the iconic Plaza Café, a downtown fixture since 1905. 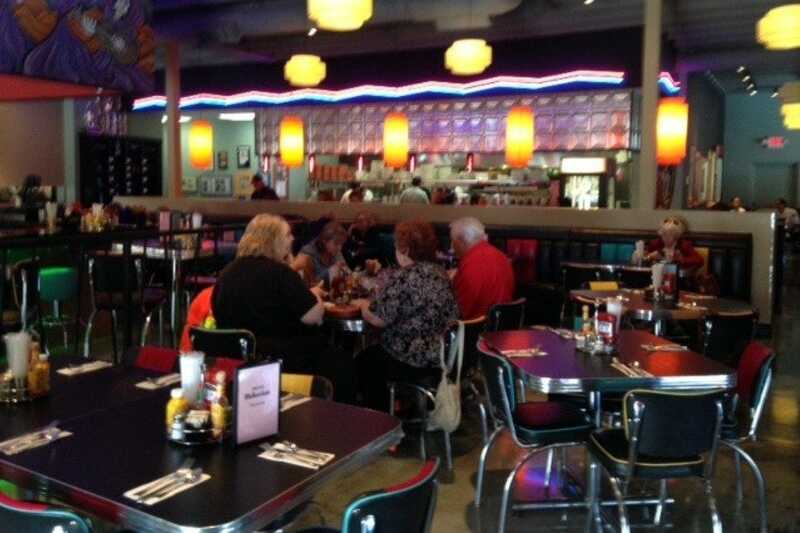 The 'upscale regional diner' opened is located across from Regal Cinema Stadium 14 off Zeferano Drive. Comfort food is on the menu three meals a day. It might be as simple as a grilled cheese sandwich or a heaping plate of nachos. If you want something more filling, order one of their Platos Nativos (native platters featuring New Mexican and Mexican food) or a Greek favorite. Try one of their daily Blue Plate Specials which include meatloaf and fried chicken both served with mashed potatoes and gravy. Chicken fried steak served with country gravy or fish and chips served with a habañero tartar sauce and black chile oil (jalapeno-infused malt vinegar) are always on the menu. For dessert: try Warm Caramel Apple Pie ala mode. 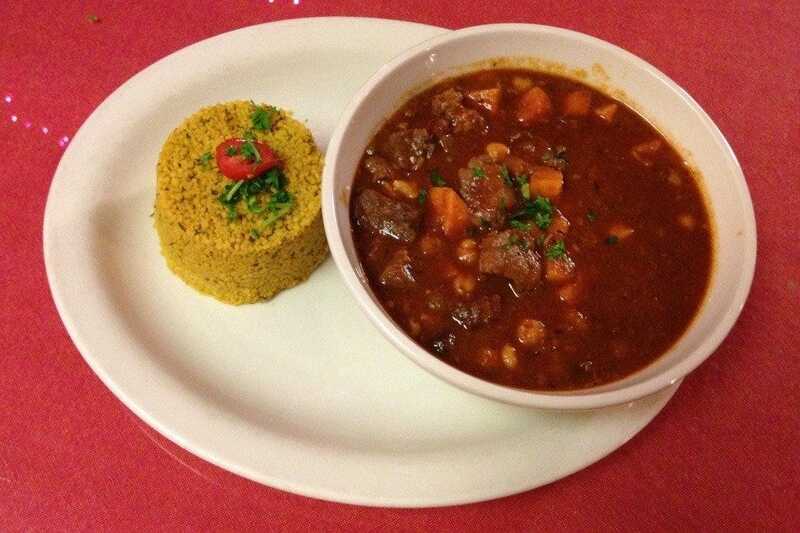 Want African comfort food? Head to Jambo Café. 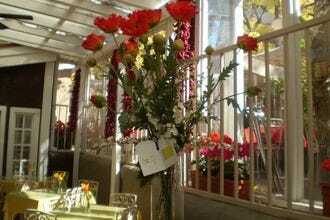 The bustling eatery, located in a Cerrillos Road strip-mall, has been popular from the day it opened. Chef/owner Ahmed Obo brings the foods of his native island of Lamu, off the coast of Kenya, to Santa Fe. The Lamu Coconut Pili Pili Shrimp is a Swahili-influenced dish using Pili Pili, a Kenyan pepper (also called African Birdseye chile). It's also a traditional spice mixture in Swahili coastal cooking. Ingredients include piri piri, cinnamon, cardamom and nutmeg combined with coconut milk. Obo has a bit of the Caribbean to the mix. 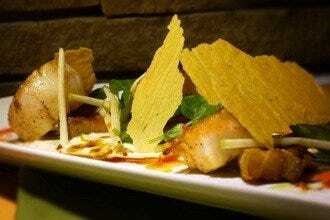 He feels both places aree multicultural and share similar flavors. Other Jambo favorites that fall into the comfort food category are Caribbean Goat Stew, Moroccan Lamb Stew, East African Coconut Lentil Stew and Coconut Chicken Curry. 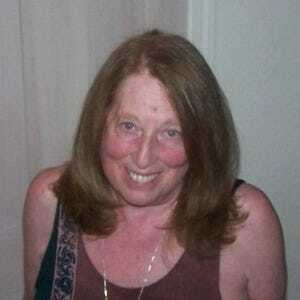 Vegetarians can substitute tofu. Top off your meal with Coconut Cardamom Flan. The Razatos family has run the Plaza Café (opened in 1905) since 1947. Comfort food has been on the menu here since day-one. It's the 'bread and butter' for the diner-like eatery. They even offer a daily Blue Plate Special, a holdover from the early days. Regulars love to see what's on tap for the day. The three most popular comfort food items are Green Chile Meatloaf, Turkey Dinner and Spaghetti and Meatballs. 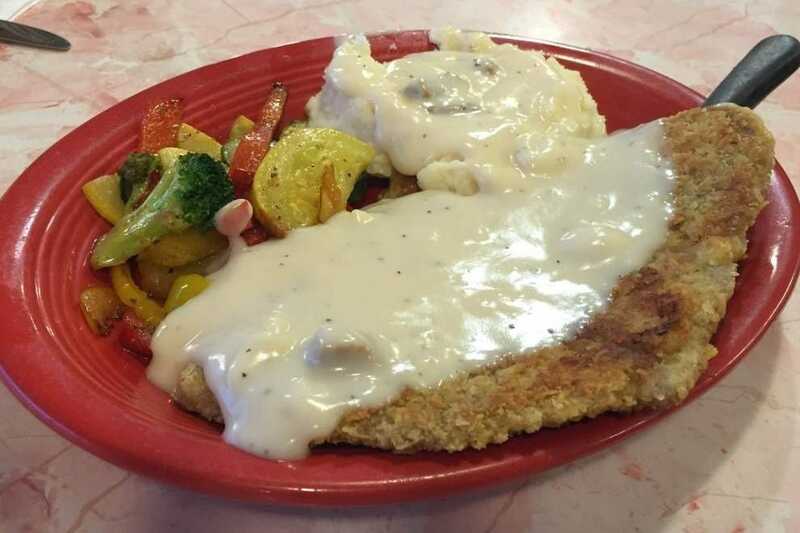 There are many other dishes that will make many think of mom or grandma, such as an open-faced roast turkey sandwich with all the fixins', chicken fried steak and the Pork Loin Dinner. There's also a wide selection of traditional New Mexican foods on offer. Finish with the Carmel Apple Pecan Pie. "We love food here," said owner Daniel Ratzos. "Food is our life." And it has been for over 60 years ago. You don't have to be from Texas, North Carolina or Kansas City to find comfort in barbecue. Chef Josh Baum and his wife Ann Gordon started Josh's BBQ in 2007. They outgrew the space and concept and closed the original at the end of 2011. 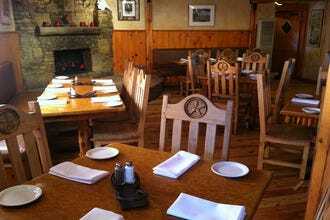 They opened The Ranch House, a more upscale (and diverse) eatery, the following year. 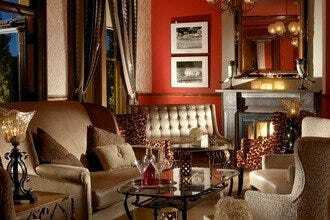 Two dining rooms and a separate full bar room welcome diners. 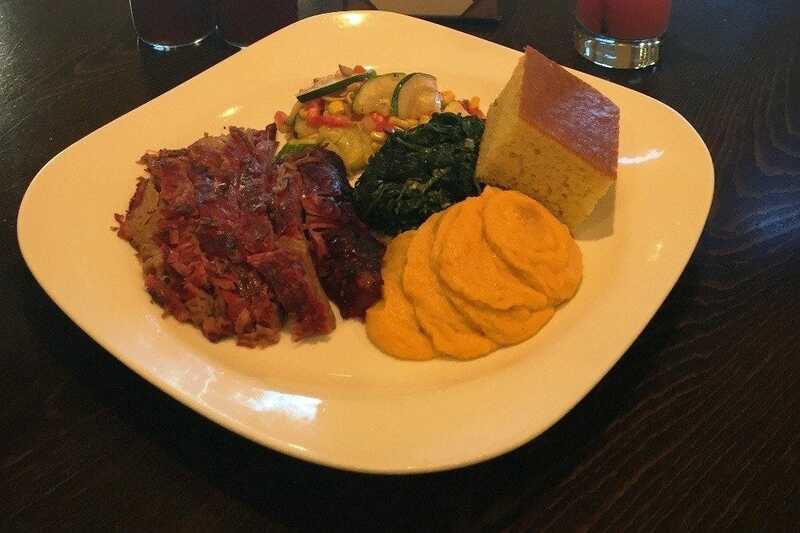 While the smoked meats (brisket, baby back ribs, pulled pork and bb chicken), green chile brisket burritos, traditional sides and cornbread that customers loved remain, a lot more was added to the made from scratch menu. The menu offers steaks, New Mexican favorites, burgers, sandwiches and even salads. It has something for almost everyone. The top seller here: Red Chile Honey Glazed Baby Back Ribs. End your meal with the house-made Warm Apple Crisp. The Pantry, a Santa Fe institution, has been serving comfort food since they opened the doors in 1948. The Cerrillos Road eatery is a bustling local favorite. You can get comfort food three meals a day here. There's a good mix of New Mexican and classic American favorites on offer include chicken fried steak, meatloaf (a blend of ground beef and pork), brisket (smothered in New Mexico green chile) and pork chops. Want to taste traditional Northern New Mexico favorite that's been served in the area for generations? Go for the Carne Adovada Plate with its slow-roasted marinated pork cooked in The Pantry's 'signature red chile.' Want lighter fare? Try a grilled cheese sandwich, a Ruben or a quesadilla (grilled cheese in a tortilla). Green chile stew, a New Mexico staple, is on the menu, too. Leave room for a slice of the decadent Tres Leches cake.